Below you will find some samples of my writing to download and enjoy at your leisure. 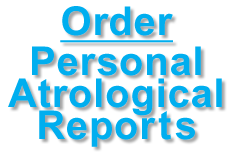 So long as the source is noted, you are welcome to pass them along to others who love astrology or are curious about what insights it can give them about themselves and their loved ones. (Many of the files are in PDF format, for which you need the software program, Adobe Acrobat Reader. Download a free copy of this invaluable utility at the Adobe website). I've taught astrology at all levels, but I particularly enjoy opening up the world of astrology to newcomers and sharing the insights and amazing accuracy this field of study can provide. For that reason, I've created a 23-page free e-booklet, Astrology 101. Download it here in PDF format. This free mini-book describes and summarizes the basics of astrology - the 12 signs, the elements, the planets and other features of the birth chart - along with a handy glossary to aid you in translation of the mysterious dialect of Astrologese you may have heard astrologers and other astrology-lovers speaking. I hope you enjoy this little book. Subscribe to my free email newsletter, Starlight Message! Much like a cosmic weather report, Starlight Messages describe the cycles that affect us all. From Eclipses and Moon cycles to major planetary alignments, you'll get the inside scoop on the astrological cycles that let you know whether the pot's about to boil over or if there's smooth sailing ahead. Starlight Messages are sent about once a month, so you don't have to worry about your email box getting clogged. 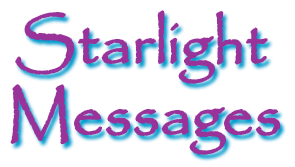 Subscribers to Starlight Messages also receive up-to-date announcements about my classes and workshops at home, abroad, and online. Plus, you'll also be able to take advantage of Starlight Specials, featuring discounts on everything from computer reports to personal consultations! See a sample of the latest issue here. IS THERE REALLY A NEW ZODIAC? 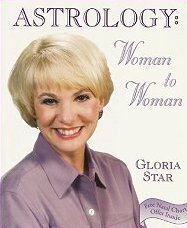 Read Gloria's explanation of the kerfuffle about changes to the zodiac! I write a regular column for The Mountain Astrologer Magazine, which appears in print and online. It's called Astrology News, and is an informative collection of information about how astrology is being portrayed in the media, interesting happenings within the astrological community, and also include information about astrology conferences happening around the world. You can read the column online. Click here. The new E-Book edition is further edited and expanded, with more illustrations and an easy-to-follow format. It is written for parents, teachers, and others interested in exploring many of the dimensions of human development through the lens of astrology. It matters not if you're new to astrology. All the fundamentals are explained in this book. !